So far we have used some of the money for an iPad for Cayden and are investigating a few mobility devices. 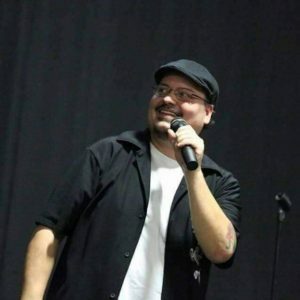 Often described as “one of the most talented comics in the business”, Big Daddy Tazz has been delighting crowds at fundraisers, corporate events, festivals and on television for more than a decade and a half. Known as the “Bi-Polar Buddha”, Tazz is equal parts comedian and motivational speaker, who likes to enlighten, educate and inspire. As a result, his one-man shows have drawn rave reviews and standing ovations from coast-to-coast. 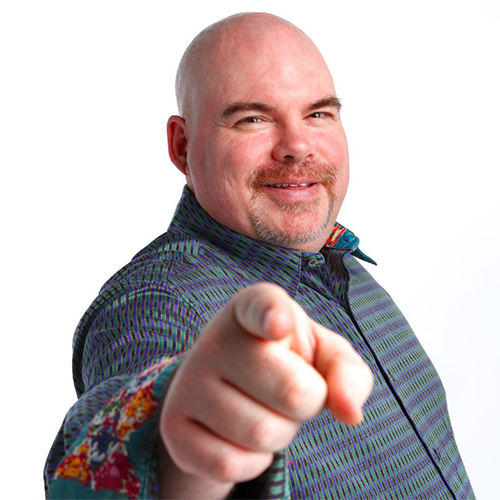 Tazz’s many national festival appearances have included the prestigious Just for Laughs festival in Montreal, the Moncton Comedy Festival, and the Winnipeg Comedy Festival, for which he often multitasks as a writer, producer and performer. Tazz’s explosive gala performances at the Winnipeg Comedy Festival over the years can be seen frequently on CBC television and the Comedy Network. On April 1, 2008 Tazz shattered the standing record for continuous stand-up comedy with his 8.5-hour stand-up comedy show. In April 2016, James sold out Harbour Station Arena in Saint John, outselling Jerry Seinfeld, Iron Maiden, Def Leppard & Jeff Dunham. James has also been nominated for the Canadian Comedy Award for Best Live Solo Show & Just For Laughs Award for Best Comedy Show. Mullinger has sold out literally hundreds of venues across Canada and has helped raised over $100,000 for charities. James will be 1 of 4 amazing comedians performing Thursday, January 25th at the Centennial Auditorium. Scott is known as one of Canada's Youngest Comedy Veterans, having been named 1 of 3 comics chosen to represent Winnipeg in Canada's Next Top Comic. Scott Porteous has made appearances including the SLO Comedy Festival in San Luis Obisopo, California, The World Series of Comedy in Las Vegas and The Winnipeg Comedy Festival. He was also named a Finalist in Winnipeg's Funniest Person With A Day Job. 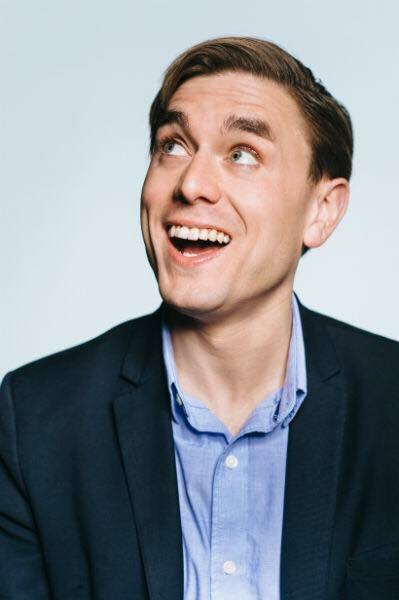 Scott will be 1 of 4 amazing comedians performing including Big Daddy Tazz, James Mullinger and Nelson Mayer. 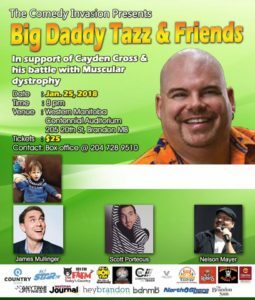 Tickets available now at just $25 with a percentage of the proceeds being donated to 4 year old Cayden Cross, a young boy battling Muscular Dystrophy. Nelson is an Aboriginal comedian who left his previous career with CFS as a child advocate in 2013. 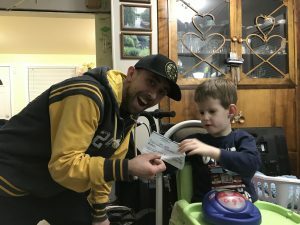 With the encouragement from friends and family, Nelson pursued stand up comedy and continues to make it a strong success. 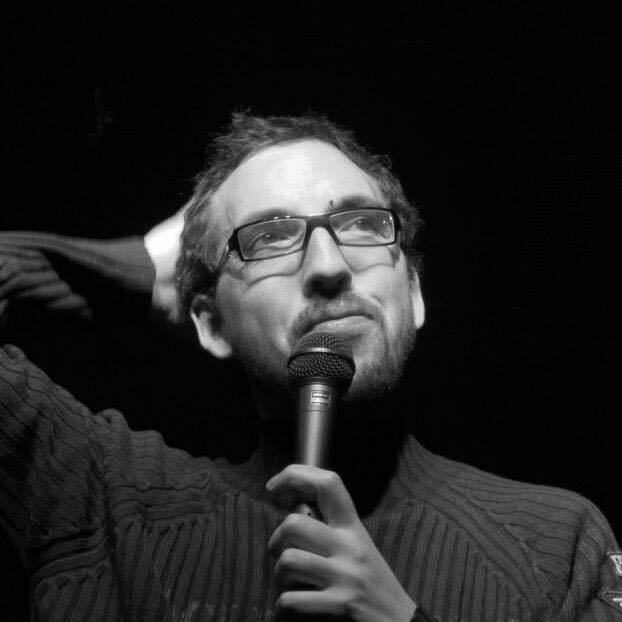 Nelson Mayer has competed in the Winnipeg Gone Wacky Show, Rumours Funniest Person With A Day Job and The Las Vegas World Series Of Comedy where he was a Finalist. Nelson currently runs the "Shut Up & Laugh Comedy Showcase". 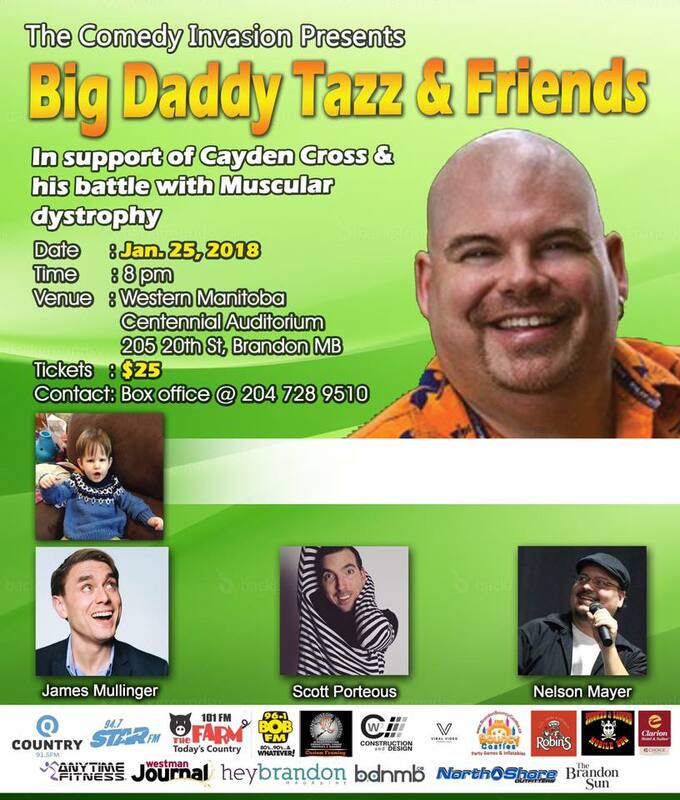 Nelson will be 1 of 4 amazing comedians including Big Daddy Tazz, James Mullinger and Scott Porteous performing on January 25th. Tickets are just $25 at the Centennial Auditorium, in support of 4 year old Cayden Cross and his battle with Muscular Dystrophy. $1 50/50 tickets in support of Bill McIsaac (2 daughters) and Lawrence & Mandy Pahl (2 children) who tragically lost their home to a house fire in St. Rose just a week before Christmas.